It is very unusual to have beautiful girl engaged in the sports. Breaking all the stereotyping here is Sabina Altynbekova very beautiful indeed playing volleyball in the national team of Kazakhstan. She came to limelight during the 2014 Asian Junior Women's Volleyball Championship in Taiwan. She was picked up by the Japanese volleyball team GSS Sunbeams. She is also known to be "The World's Most Beautiful Volleyball Player." 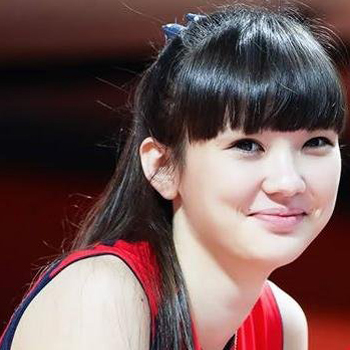 Sabina Altynbekova was born on 5 of November in 1996 in Aktobe, Kazakhstan under the birth sign Scorpio which defines her personality to be intelligent, stubborn, and perfectionists. 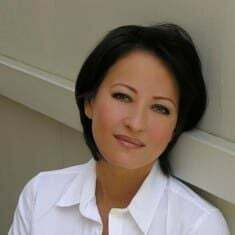 She is the daughter Abay Altynbekov and Nuripa Altynbekova. Both of her parents were athletes-a skier father and track and field competitor mother. This explains her interest in sports since childhood. She was a very bright student. As per the interview, given by her mom, Sabina attended a boarding school for gifted school. Though her mother wanted her to attend law school, she chooses to be a volleyball player. Altynbekova is an active member of the women’s national volleyball team. In 2014 she got an opportunity to play and represent her nation, Kazakhstan in 2014 Asian Junior Women’s Volleyball Championship. She and her team traveled to Taipei, Taiwan for the championship where she got her major exposure. Because of her excellent talent in playing volleyball and her beauty she became a sensational internet celebrity in such a short period of time. Everyone was talking about her beauty and thinking how such a beautiful face can be engaged in sports. Instead, they think of her as a model and compare her with different actress and models. She was a major attraction for most of the viewers of the national volleyball team in 2014. Unfortunately, her team was not able to secure impressive position on the championship as they finished the tournament in 7th position which is a disappointment for most of the viewers. Sabina rarely got chance to play in the matches. Her coach complained about the audience behave as if there’s only one player in a team. The coach thought that it was harmful to the member of a team as they got distracted and demotivated from the crowd so Sabina wasn’t able to show her talent as much as expected from her. She has also been slammed by various critics for being too beautiful to be playing volleyball. Apart from the international engagement in volleyball, she is a well-known figure in her own nation. She has played domestic matches and won thousands of hearts in her nation. In each and every game, her coach, Nurlan Sadikov has seen viewers reaction towards her beauty. According to him, every member of the team has equally contributed and performed in the match, some are even better but he found it difficult to cope with the crowd who behaves in an unusual way by eyeing only on her beauty rather than the game. Altynbekova is a popular volleyball player and considering her hard work and successful career we can assume that her net worth is not less than a six-digit figure, however, the official figure of her total income has not been made public in her bio. Needless to say becoming such a controversial figure in the industry, there are different kinds of rumors and gossips related to her love affairs. Looking at the craze among the public for her beauty secrets this might motivate her to change her focus towards volleyball and get involved in fashion and flicks. Sabina has created lots of buzz in the industry. On social media people often ask questions about her relationship and boyfriend. But she says that she wants to be known by her volleyball skills, not by others. As a sports person she thinks her main focus is totally on her passion for volleyball so denies the rumors of her marriage. Height: She stands at the height of 6 feet (1.82m). Weight: As of 2018, she weighs 59kg (130lbs). She has thousands of fans following her on social media. Fans from China, Vietnam, Taiwan, Japan, South Korea, Malaysia and the Philippines comments on her facebook and twitter accounts.